Housing and Urban Development (HUD) announced today that FHA would REDUCE monthly mortgage insurance fees by more than 1/3, from 1.35% of the loan amount down to .85 percent. The “annual premiums” on FHA mortgages, a very popular financing option for Florida first time home buyers, have increased five times since 2010. They jumped from .55 percent of a loan’s value to 1.35 percent in 2014, which is simply outrageous to many. Those fees will finally drop to .85% toward the end of January. The White House projects the lower premiums will entice 250,000 more home buyers to take out FHA loans in the next three years, and that the new borrowers will save an average of $900 annually. 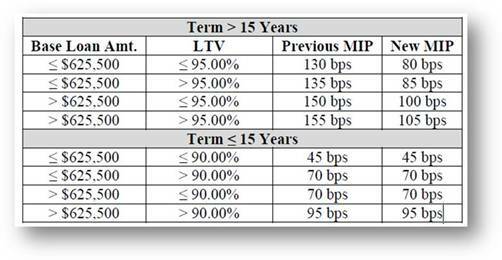 Old – FHA monthly mortgage insurance @ 1.35% = $225.00 per month added to the borrowers monthly mortgage payment. 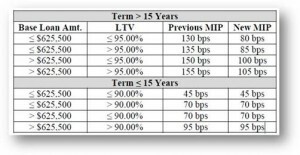 Now – FHA monthly mortgage insurance @ .85% = $141.67 per month added to the borrowers monthly mortgage payment. 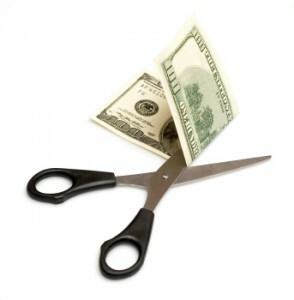 $200,000 x .0085% = $1,700 – 1,700 / 12 = $141.67 = Savings of $83.00 per month! This is really a big deal for new home buyers entering the market in 2015. In addition to homeowners that currently have an older FHA mortgage with the higher insurance premium, as these homeowners may want to consider an FHA streamline refinance. 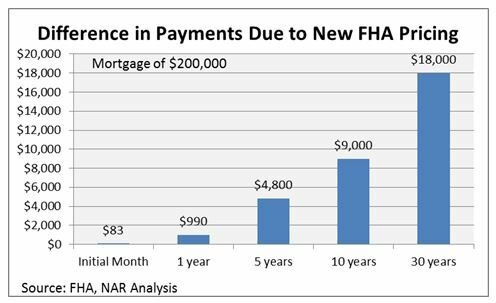 So what’s behind the sudden reduction of FHA fees? Well the FHA finances took a blow after the housing bust back 6-7 years ago, when many borrowers flocked to FHA for financing because credit was tight everywhere else. The FHA’s loan volume soared as a result, but so did its default rate. The losses eroded the agency’s cash reserves to a level well below what is required by law. FHA kept raising its fees to beef up its cash reserves. FHA finances, along with the market have since improved. FHA recently announced that its reserves are back for the first time in two years, and an independent audit of the agency’s finances predicts that the agency will reach the level required by law by 2016. The new premiums are scheduled to kick in late January 2015. Stay tuned into out FHA news page here as there will be more details provided soon on the lower mortgage insurance costs and FHA refinance benefits. Florida home buyers that have questions can reach out to us 7 days a week by calling 800-743-7556, or just submit the quick Info Request Form on this page.